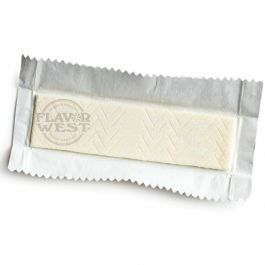 Stick gum juicy flavor is flavoring that offers its own kind of great taste. Enjoy the delicious and sweet taste using this flavor in your creation treats. Type: Stick gum juicy Water Soluble Flavoring. Ingredients: Natural and Artificial Flavoring, Propylene Glycol and Ethanol. USP Kosher Grade Flavoring. Usage Rate: 15-20% for E-use. Flavor Suitability: Suitable for desserts, ice creams, pastries, candy, lip balm and more. Specific Gravity: 1.02 No Refunds on Flavoring. The flavor is not as spot-on as the Fruit Stripe. Ordered a mix with a double shot of this and I think there is a little too much banana flavor in it. But it does not taste bad, it's still pretty delicious just not exactly like the Juicy Fruit gum.